CustomTech Blog: Univention App Center: AD Takeover assistant, OpenVPN4UCS, Icinga, RADIUS app. 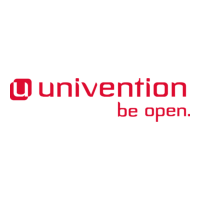 Univention App Center: AD Takeover assistant, OpenVPN4UCS, Icinga, RADIUS app. Lots of new apps in the Univention App Center: AD Takeover assistant, OpenVPN4UCS, Icinga, RADIUS app and OX Text. This web-based graphic wizard for the simple takeover of domains operated with Microsoft Active Directory is now available via the Univention App Center. This new integration of OpenVPN in the UCS management system allows the management of secure virtual private networks including the clients. The monitoring solution Icinga, a fork of Nagios, controls networks and network resources. It sends notifications about errors and recoveries and generates performance data for reporting. This new app allows administrators to control the access to the company's wireless network for users, groups and endpoint devices via RADIUS protocol while the users log on and authenticate with their normal domain credentials.